Excellent experience with this dealership on our recent purchase and with their service and support over the past 10 years. 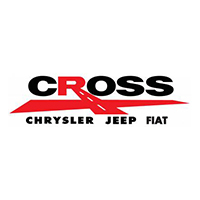 Have purchased 3 new Jeeps over this period and all have been maintained by Cross. I arrived at 8:15am to look at a jeep they open at 9am. 8:30-8:40 am Shawn pulls up and greats me first thing. He knew the exact jeep I came to see needless to say im a new jeep owner and I love it! I highly recommend this dealership 08 jk owner yay! Experience from sales person to sales manager to finance was excellent. Chase took the time to explain all of the features and how to use them on our new car as well as answer any/all questions. Fast, relaxing, and so easy!!! I have never enjoyed purchasing a vehicle. This experience meant I will probably always go back to Cross. Thanks to our salesman Matthew Beard for all of his help!